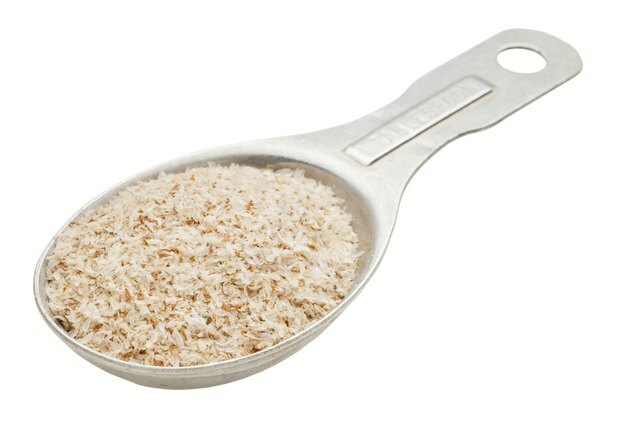 Does Psyllium Husk Cause Severe Gas & Bloating? If you're taking psyllium, you may notice gastrointestinal side effects. Psyllium husk, a type of soluble fiber, can cause bloating, flatulence or increased belching. Sypmtoms are generally not severe and can be minimized by taking smaller doses until you adjust to the fiber. Psyllium husk comes from the seed of the Plantago ovata, a shrub-like herb found worldwide. Psyllium husk is primarily used as a source of soluble fiber that swells into a gel and is not absorbed by your digestive tract. Most people consume psyllium to make bowel movements more regular. The beneficial bacteria that reside in your intestines break down fiber for fuel, producing gas. According to a 2008 article in the "Journal of Clinical Gastroenterology," these bacteria process psyllium husk after it has been modified by digestive juices in the stomach and small intestine. The increased gas, bloating and flatulence caused by psyllium ingestion is uncomfortable, but generally will not cause significant medical problems. If you have severe bloating or abdominal pain or other serious side effects, including choking, trouble swallowing, long-lasting constipation, a rash, severe stomach pain, vomiting or intense nausea, you should contact your doctor and stop consuming psyllium. If you suffer from excessive gas after taking psyllium supplements, reduce your dose. Starting with a large dose of psyllium can increase the severity of the side effects. Begin with a smaller dose, using the amount of water recommended on the product label. Gradually increase the amount of psyllium you take to allow your body to adjust to the increased fiber consumption. "Journal of Clinical Gastroenterology"; Evaluation of Prebiotic Potential of Refined Psyllium (Plantago ovata) Fiber in Healthy Women; Elli et al. ; September 2008.